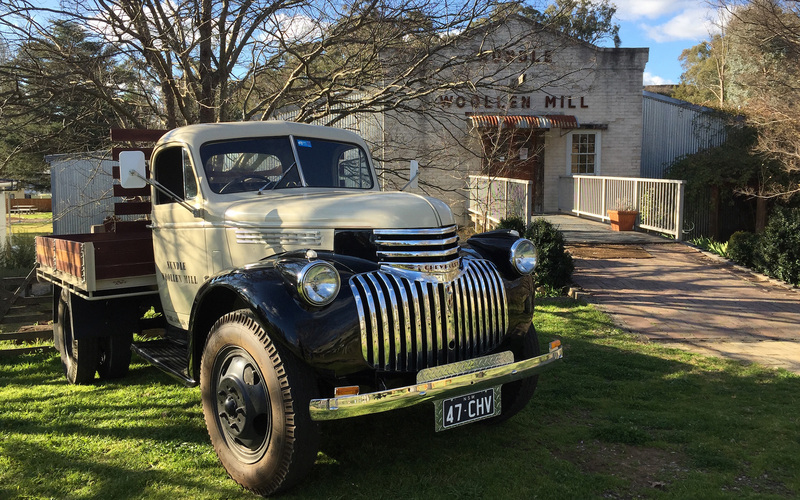 Each year, over 30,000 visitors make the journey to our little town to tour Nundle Woollen Mill. In our regular tours, visitors marvel at our antique machines humming away as they work their magic to turn bales of the finest Australian merino wool into yarns in the vibrant colours for which we have become famous. A visit to the Mill is a chance to reconnect with Australia’s wool heritage and browse our yarns, clothing and accessories. 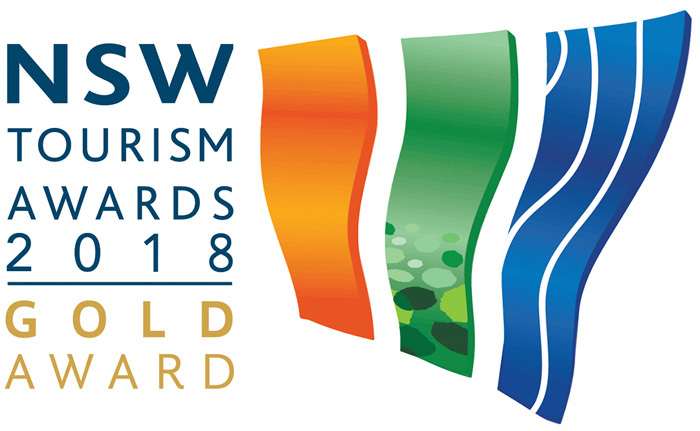 We have been finalists and winners in the Australian Tourism Awards, New South Wales Tourism Awards and Inland Tourism Awards. We welcome independent travellers and groups. 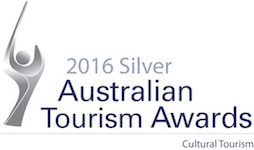 For all tour bookings, please call 1300 NUNDLE (1300 686 353). 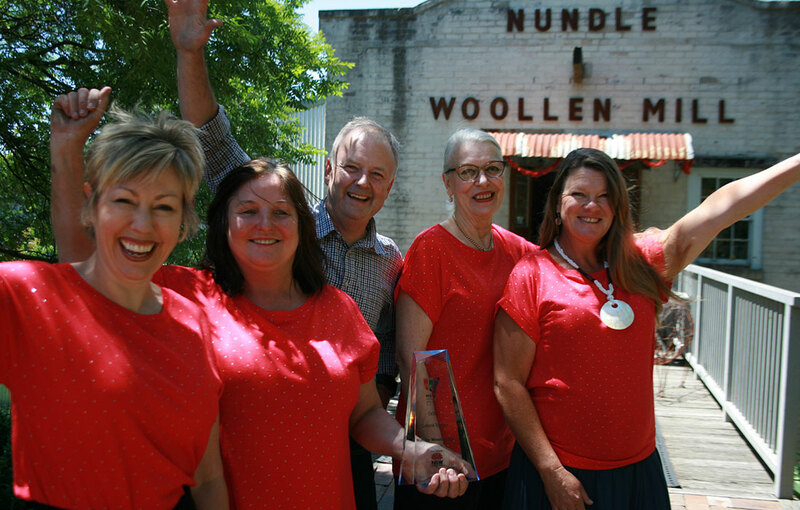 Visitors to Nundle Woollen Mill are sometimes surprised that it’s so young, having first opened on Australia Day 2001. 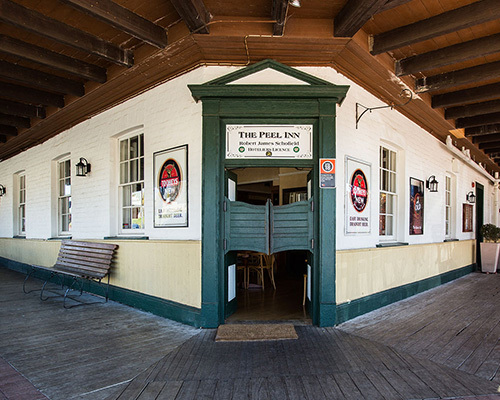 What gives the Mill its aura of history? Perhaps it’s the machinery housed inside. Most of it has been sourced from long dormant mills and lovingly restored. Everything we do is driven by three passions. We want to add an element of entertainment to craft supplies. We want our customers to feel attractive and fashionable in the garments we sell. And we want to create a reconnection with Australia’s wool heritage. Many customers have become friends. 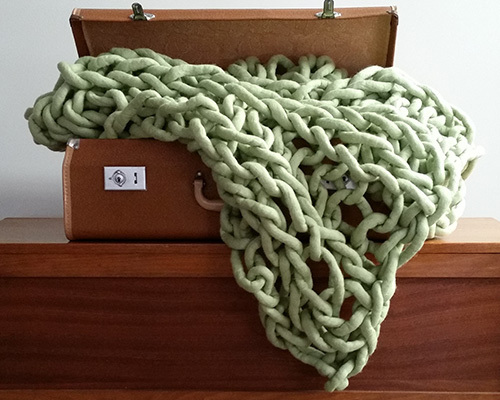 They share photos of the garments and soft furnishings they create with our yarns. They share patterns, stories and tips. Some of our customers learnt to knit from their country grandmothers. Some knit with friends in inner city cafés. 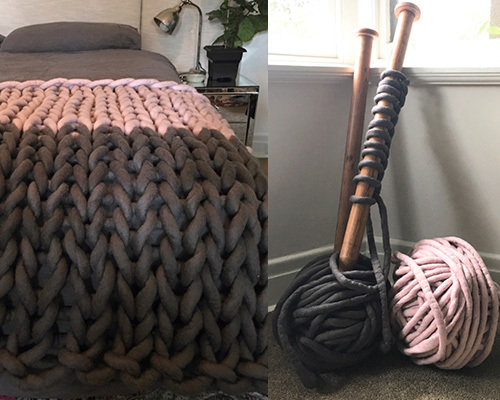 Some have turned their love of knitting into thriving businesses. Others create fine art. Our customers make us look good with their creativity. 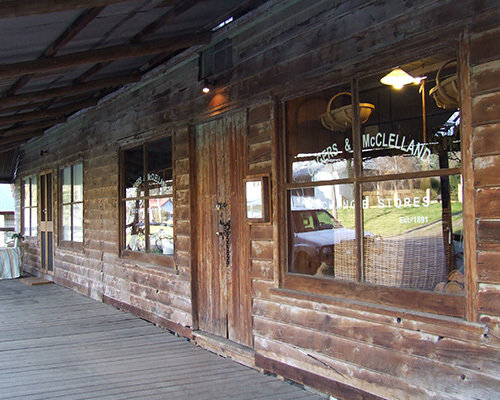 Woollen mills were once common in Australia. Today some of the machines that operated in these defunct mills now hum productively in our Mill. Several of our machines were relocated from the JL McGregor Mill in Geelong, Victoria to Nundle in 2000. 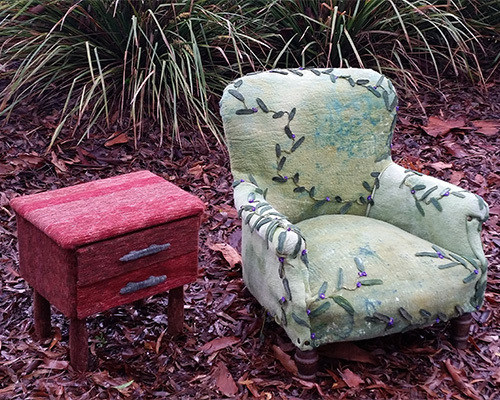 They were manufactured by famous textile machinery manufactures and have been passionately restored by us. Nundle Woollen Mill and its machines are very unique from a couple of different perspectives. Firstly, we are the last wool spinning mill of our kind still operating in Australia. Secondly, we don’t know of another spinning mill in the world that is working in a commercial way with machines aged up to or exceeding 100 years old. 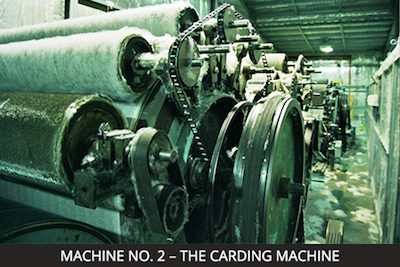 Our oldest machine is a beautiful old carding line, manufactured around 1914, a spritely 102 years old! All our machines work just as well today as they did when they came off their production lines! Prior to arriving at Nundle Woollen Mill, the fleece is shorn, sorted and classed in the shearing shed, and conveyed by truck to the major wool buying centres in Sydney and Melbourne. Following sale by auction (wool is still sold by the open cry auction system and under auctioneers hammer), the wool is scoured or washed in Geelong to remove dirt and grease, and transported by truck to Nundle. The Opener or Picker was built by Tomlinsons of Rochdale England in 1916 and was purchased from Australian Textile Recyclers, in Victoria. Built to last, the machine was sometimes used as a rag shredder. 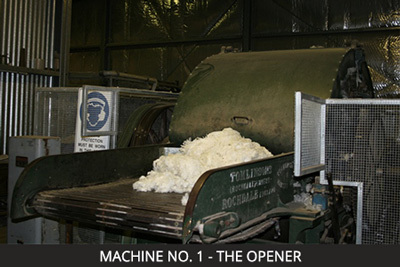 The Opener has now been restored to good running condition, and its primary role at Nundle is to open and mix the scoured wool in preparation for carding. After opening, processing oil and water is added to the wool to reduce fibre breakage and minimize static during carding. Built by the Platt Co. in 1914 at Oldham England the Card was purchased in 1989 from J L McGregor Pty Ltd of Geelong. In woollen processing the yarn is made in the card. The fibres are opened in the feed hopper, measured in the weigh pan and dumped onto the feed sheet ready for carding. The carding process mixes and opens the mass of wool to individual fibres. The fibres are assembled into a web at the doffer at the end of the scribber (first) section. The large metal rollers in the Parelta section are used to crush any vegetable such as burrs in the fibre web. The web is formed into a sliver to be transferred and turned across the card feed sheet via the Scotch feed connecting the scribber and carding sections together. The carding section further mixes and opens the fibres using the finer wires of the worker and stripper rollers. The fibres are stripped off the carding section using the doffer roller and comb to produce a fine fibre web of constant weight and evenness. This web is split into 100 narrow strips by the tapes in the condenser section before being rubbed with a false twist into slubbings (which we call cheese yarn) and wound into cheeses on one of the four levels of card spools. We wind about 1000 metres of continuous rubbed yarn from each strip onto the spool. Therefore 100 strips of 1000 metres is 100 kilometres of yarn, made every three hours. That is a lot of cheese yarn! 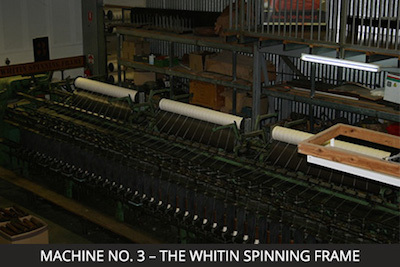 The Whitin Spinning Frame was manufactured in the United States in the early 1950s. The function of this machine is to draft and twist each of the cheese yarns or slubbings on the spool into single threads. The drafting draws out the fibres to the thickness required and the twist adds strength to the yarn. This machine, also from McGregor’s, has been reconditioned and shortened to match the four spool output of the Card. 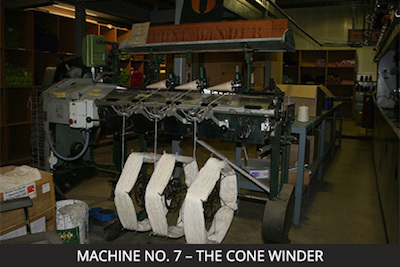 Built in 1938 by Prince, Smith and Stells in England, this machine has been converted to a Twister to suit our mill’s woollen spinning system. 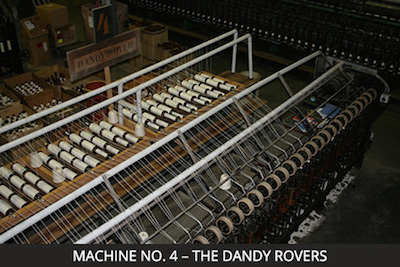 The Dandy is now used for twisting (or plying) 3 or more threads (or ends) together to make the 8 and12 ply knitting yarns for the local Nundle knitters. Traditionally, an 8 ply yarn for example has 8 strands, hence that is how it got its name. However, more recently, the term 8 ply refers to the yarn thickness, basically a unit of measure. It is not important how many strands an 8 ply has, as long as it is the right thickness. Most 8 ply yarns these days have 3 for or 5 strands and should be labelled ‘equivalent to 8 ply’. 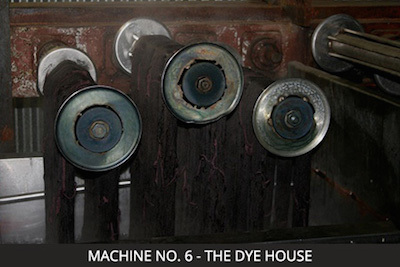 A special and unique feature of this machine is its ability to produce our special bulky yarns of 20 ply and 72 ply yarns. Manufactured in Germany by Croon & Lucke, the Hanker winds yarn from cones or bobbins to a hank or skein ready for sale, or for dyeing into many colours in our Dye House on the other side of our building. 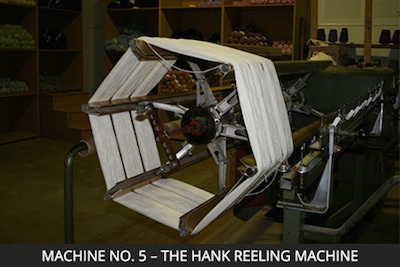 Yarn is dyed in hank form on rotating rollers in the dye bath using fibre reactive wool dyes. It takes about one hour to apply the dye under acid conditions for the lighter colours and a maximum of two hours for the darker shades. To finish the dyeing the excess dye stuff not exhausted is washed off and the wool is neutralised before spin drying. The coloured yarn is then dried for a day in the sun outside on the drying racks. 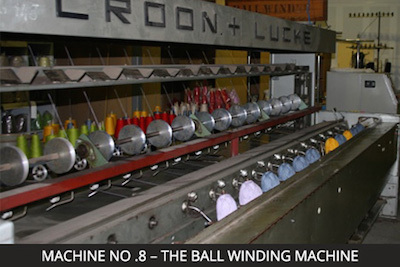 The Cone Winding machine is used to wind the dyed yarn hanks onto cones ready for balling. Machine knitters can use this coned yarn directly on their machines. This machine winds balls to a predetermined shape and size. The main use at Nundle is for winding 8 ply yarns from cone to a 50gm ball ready for sale to hand knitters. The finished balls are labelled by hand at this stage. Even if you can’t get to the Mill, you can still buy the products we make and sell. 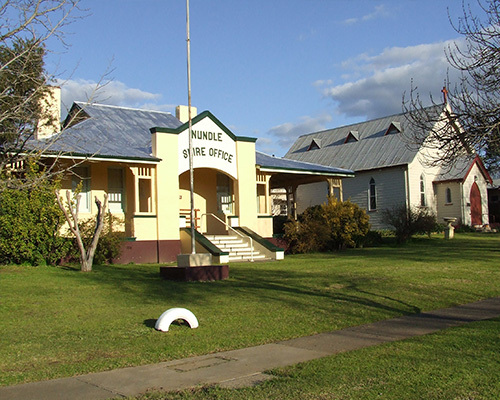 Nundle was one of the first wool producing areas in Australia, with the first land grants in the region being to the Australian Agricultural Company in 1837 (Goonoo Goonoo Station) and the Wombramurra Station in 1847. 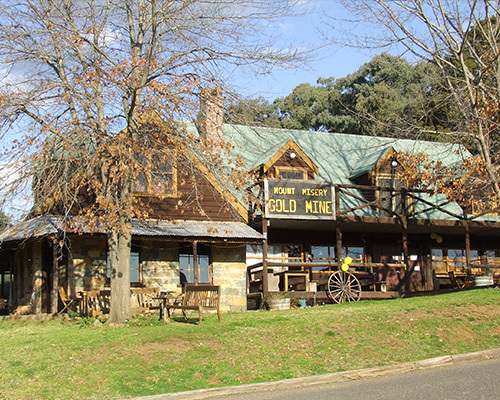 The village of Nundle was established in 1853 on the northern corner of the Wombramurra run. Set on the banks of the Peel River, the village grew out of the gold rushes and there are several buildings and relics dating from this period. By the 1860s the Nundle area was famous throughout the UK and Europe for producing the finest merino wool in the world, a tradition we aim to keep alive with the Mill. 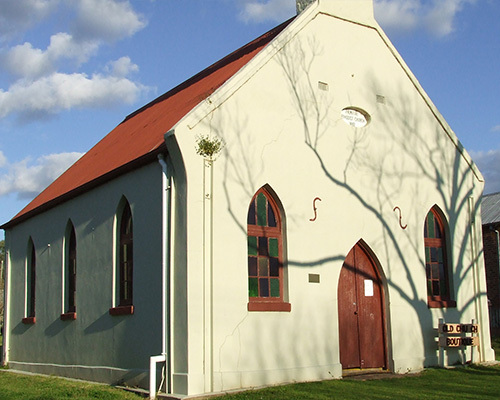 Nundle is about 4½ hours from Sydney and 50 minutes from Tamworth. 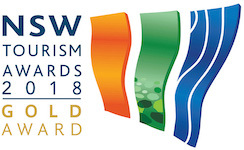 The greatest reward for the passion we put into the Mill is that 30,000 people choose to travel here each year, to reconnect with Australia’s rich wool heritage and to see a traditional woollen mill in operation. 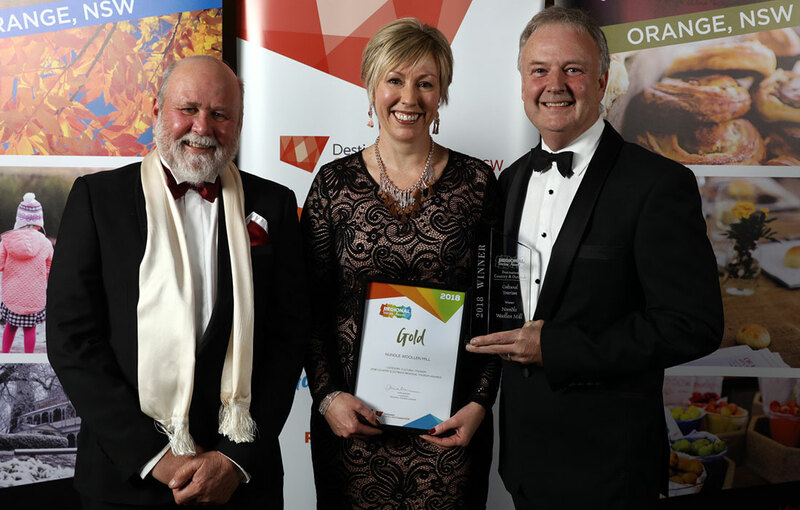 We’re honoured that our Mill has been recognised in regional, state and national tourism awards. Open 7 days a week from 10am till 4pm. We’d love to hear from you. Send us an email. © 2018 Nundle Woollen Mill. All Rights Reserved.